©2013 Kershner Photography. All Rights Reserved. 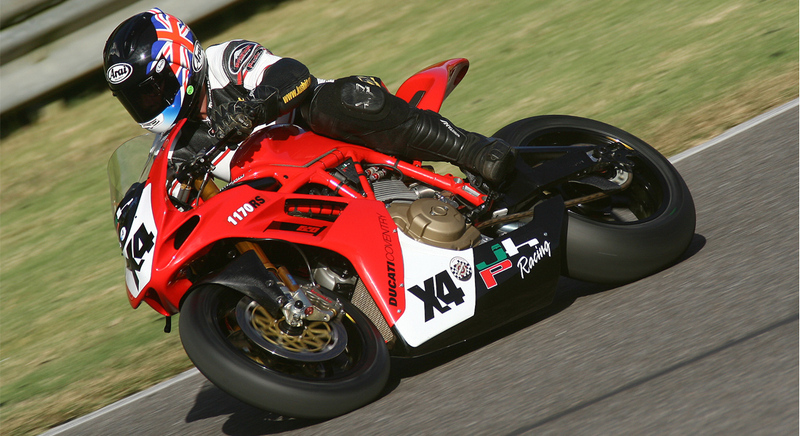 In a return to design basics, JHP Racing/Ducati Coventry and Frederick Cederna Design developed the Ducati Desmodue 1170RS as a modern and lightweight racing platform to take on Superbikes & Supersports. Combining the 300 pound weight with a 128 hp power plant, the 1170 RS targets the power to weight ratio of a GP 250. While not able to out-gun adversaries with top speed, the light weight package targets late braking and lithe cornering characteristics that look to outmaneuver water cooled and 4-valve engine competitors. In other words, while it may play catch up on straight-aways, the corners are its prime hunting grounds. At the right track it will own the lap time. Own Braking. Own the Corner. Own the lap. 1170 RS. A light, air-cooled Superbike with simple Ducati engine architecture has much appeal. Although Ducati offers several Desmodue models, the Supersport line offering of a sportbike with two-valves per cylinder has been absent from the product list for years. A re-birth and Renaissance of the SS could allow a potent and more affordable track tool. Potent power-to-weight ratio: +128 hp power plant and 301 pounds (almost dry – includes front fork oil, rear shock oil, battery, and brake oil) with stainless steel valves. No unnecessary plumbing, also allowing less weight and contributing to slender & elegant lines. 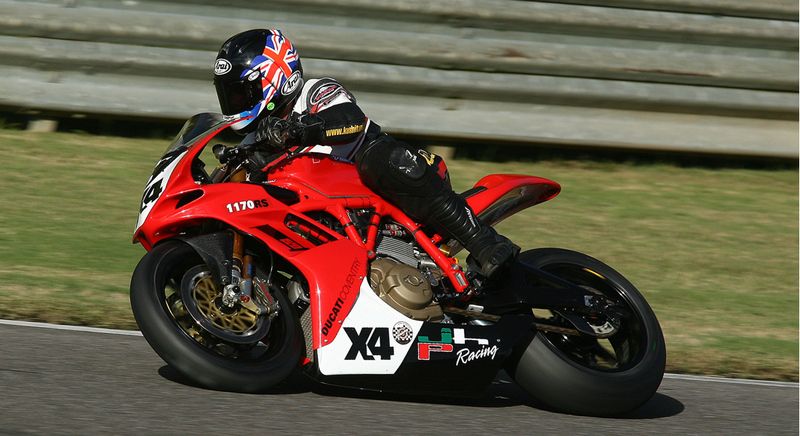 It’s no secret that JHP Racing/Ducati Coventry are masters of Ducati and racing machines. JHP Racing assembled and fabricated all motor, chassis, & rolling chassis, components for the RS. This included custom Dymag wheels, titanium exhaust, all engine builds (3), chassis setup, suspension settings & valving, wiring harness, digital display, data logger, electronics & sensors, electronics mounts, etc. In straight & simple words, John & Rick Hackett at JHP Racing gave the RS the raison d’etre. JHP made the RS into the elegant tool. Frederick Cederna Design provided the gas tank & bodywork with integrated ram-air & air box. Design innovations included incorporating a 1098 fuel pump in the tank & V-shaped oil cooler in the front fairing. The bodywork & tank were shaped on site at Sharkskinz in Fort Lauderdale working with Dave Lee & Rick/Jason the Lee (owner & sons). Bucks for the tank were sent to John Harvey at Fuel Cel for molding/reproduction. Following completion, all bodywork, airbox, & tank, motor and rolling chassis were shipped to JHP Racing for build (work in progress @ SharkskinZ below).